It's magazine day in Japan but it doesn't look as though either Weekly Famitsu or Dengeki PlayStation have any new information for us this time. I'm going to make a wild guess and say that next week's Weekly Famitsu is the most likely time for Capcom's next batch of news, otherwise it might still be a little while away. We might get some hints on Monday/Tuesday when they post their magazine preview articles. It's not long until Butai Sengoku Basara 4 Sumeragi debuts so preview pictures of Kojuurou, Sasuke and Sen No Rikyuu have been posted on the official website. I'm not too convinced by Rikyuu's facial expressions but the costumes are certainly looking good; it's going to be great to eventually see them all in action. I'm a little worried that so many of the show dates are still far from being sold out. 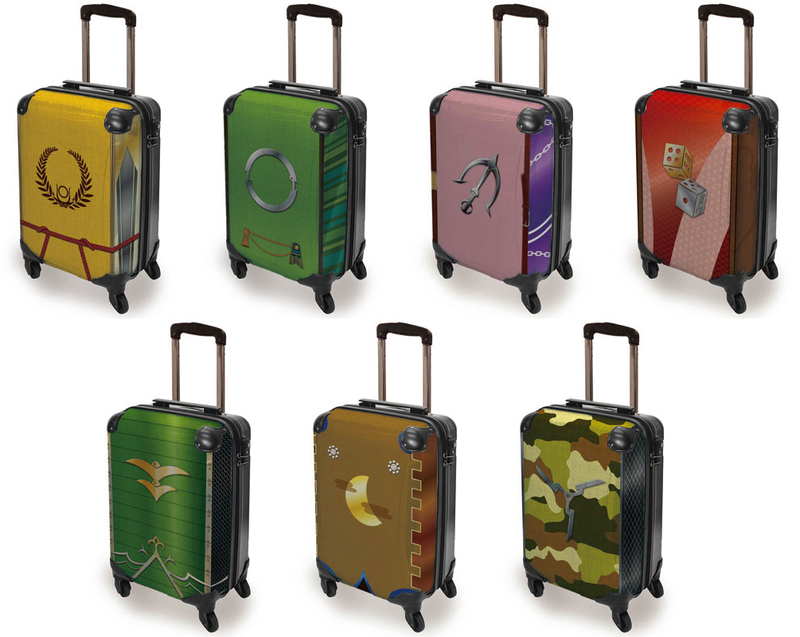 Edit: Famitsu has posted a compilation article with better pictures of Rikyuu. The preorder period for the upcoming Sengoku Basara Premium Cocorobo vacuum cleaner ends on 18th January 2016, so SHARP have organised some special preview events to show off this very exclusive piece of merchandise. The first event is scheduled for tomorrow (14th January 2016) between 19:00 and 21:00 at the Nico Nico Honsha event space in Ikebukuro. The venue's capacity is limited and if demand is high signups for the hands-on demonstration will be halted. 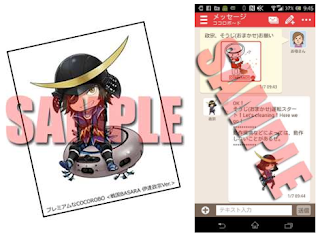 Attendees will receive a special sticker illustrated by Mikami. 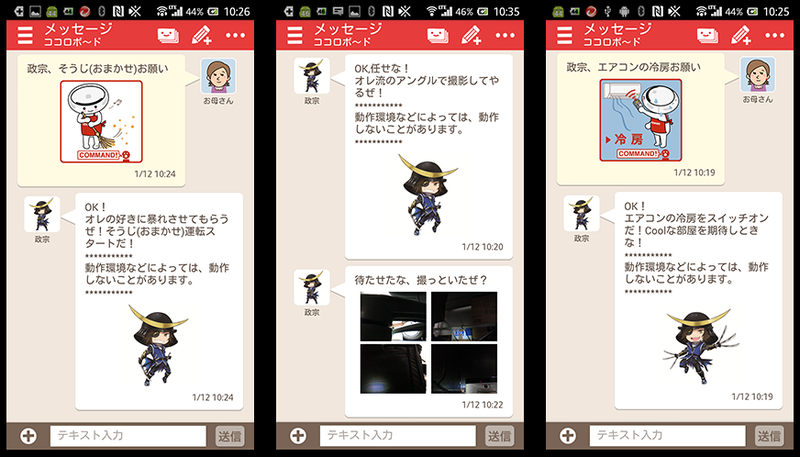 Mikami incidentally provided the illustrations used by the cleaner when it communicates with its owners via the Cocoroboard smartphone app. After that, the next opportunity to talk to the cleaner will be on the 16th and 17th January 2016 when it will be present in the Karaoke Pasela reception area in front of the Capcom Bar in Shinjuku between 11:00 and 19:00 each day. If you're not in Japan - like most people reading this - Capcom TV kindly posted their own news bulletin about the vacuum cleaner here. The news update recaps a few other announcements before getting to the segment with their reactions to experiencing the cleaner's voice controls, alarm clock and weather report features. 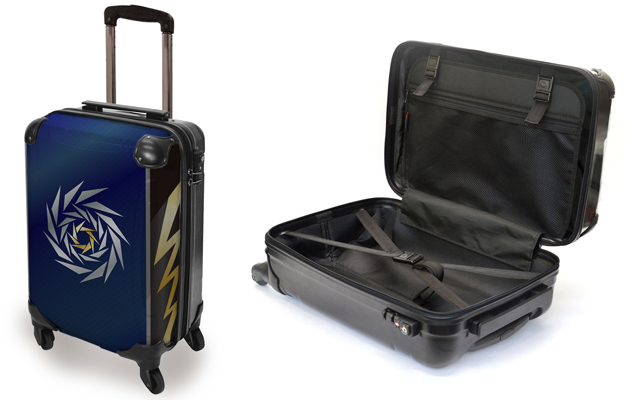 The extravagant 31L Sengoku Basara carry cases are back on e-Capcom, with a whole host of brand new designs for fans of Ieyasu, Motonari, Motochika, Sakon, Katsuie, Kojuurou and Sasuke. 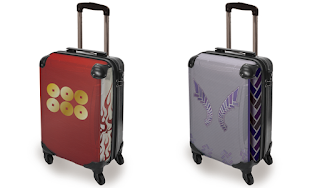 Each case costs ¥30,000 before tax and delivery is scheduled for 24th March 2016. 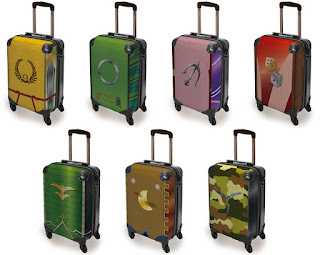 In addition, the previous carry cases will be made available again for those who missed out. 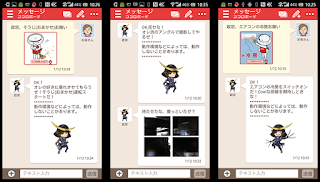 The specification of the Masamune, Yukimura and Mitsunari designs hasn't changed.